WHEN we started covering the social conflict at the EPO (we had already written about the EPO, but different aspects of it, typically but not always software patents in Europe), Merpel had beaten us to it. Merpel started writing about it in early 2014 if not 2013; we only started studying the conflict in early 2014 and published nothing about it until the summer of that year. Prior to that we had written a lot about software patents at the USPTO; remember that this was almost exactly the same time as Alice (summer of 2014), wherein the US Supreme Court ruled against software patents — in retrospect a truly historic decision with profound implications (more so than In Re Bilski). “In the interim, truth itself got compromised, human rights got abolished, and the workplace atmosphere darkened.”I’ve written about software patents since my teenage years or early twenties (at different capacities), so the subject isn’t new to me. It’s a very important subject, particularly so as more and more things get implemented in software over time. 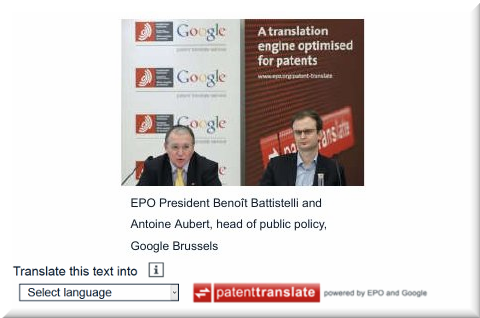 The issues associated with overpatenting visibly irritated EPO staff too. About a decade ago we wrote about and posted many photographs from an EPO walkout. Things got a lot more serious in recent years, as management chose to start a campaign of oppression rather than a process of reconciliation. In the interim, truth itself got compromised, human rights got abolished, and the workplace atmosphere darkened. IP Kat censorship has become a real issue that we’ve composed several articles about as some of our readers had their comments deleted. I too had my few comments there deleted. I know the feeling and I know it’s not due to obscenities. And yet, when the EPO censored IP Kat I stood up for them. Now, a year later, rather than the EPO censoring IP Kat it’s IP Kat self-censoring, i.e. not covering EPO scandals anymore. “The price good men pay for indifference to public affairs is to be ruled by evil men,” Plato said. It seems apt now. “For some people, this could potentially be threatening to their career (if Google, which is close to the EPO, was ever to drop a hint to Team Battistelli).”“…a thousand quarrels arise and numberless insults of offensive words could be heard across the IP world,” said this person over the weekend (responses to that were posted last night), but many of these insults are heard offline, not online. When asked about it confidentially, it’s clear how stakeholders feel about the EPO. I was forwarded your contact information by █████. My name is ████ Walsh and I write for ████ about digital privacy and > cybersecurity issues. 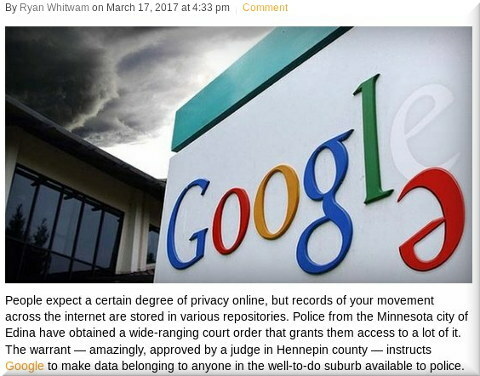 I am currently writing a story about Edina Police in Minnesota being granted a warrant to collect every person’s data that searched for a specific name on Google during a 5 week period. The police believe that someone from the area searched for the victim’s photo on Google to create a fake passport. The implications for digital privacy are obviously huge, as this could set quite a nasty precedent. The warrant is far too broad and if this type of procedure became the norm it is a slippery slope toward blanket search engine surveillance. The good news is that Google does intend (apparently) to fight the warrant. Any quote on the subject from yourself (plus how you would like me to refer to you in the article) would be a valuable addition to the article. Thanks.